This is the first to book to explore Blondel's entire body of work and provides an introduction to his life and writings and their relevance to the debates surrounding the radical orthodoxy identity. 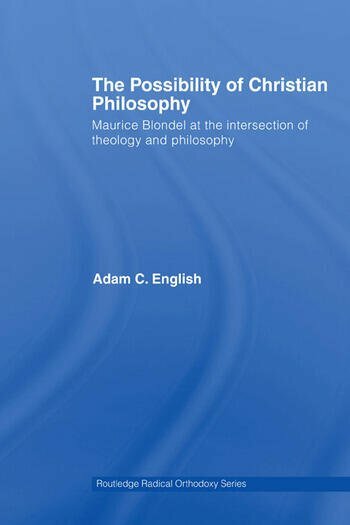 Detailing Blondel's impressive research output during the first half of the twentieth century, this volume highlights his relevance to philosophy and religion today and his commitment that philosophy cannot be separated from a theological narrative. This highly original work will be of great interest to scholars of philosophy and religion, particularly the students of the radical orthodoxy movement. Adam C. English is Assistant Professor at Campbell University, USA.